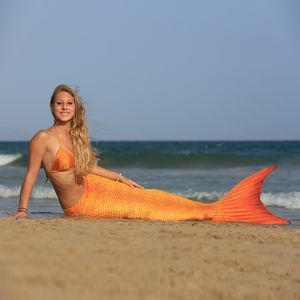 In the year 2010 we made our first mermaid tail for swimming in Germany. We started because the 8 years old daughter of Kirsten Söller was a fan of "H2O: Just Add Water". 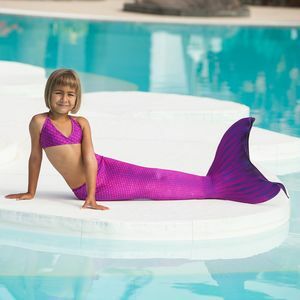 She wanted to swim like the mermaids in the television series. 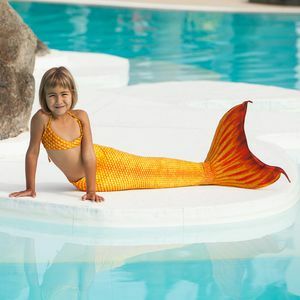 Kirsten made a mermaid tail from a tablecloth painted with fishscales and a pair of flippers. 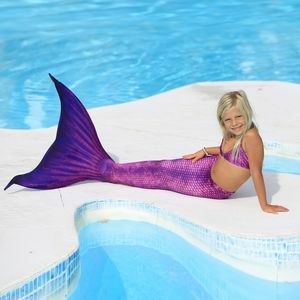 All the girls in the public bath wanted a mermaid tail like hers. 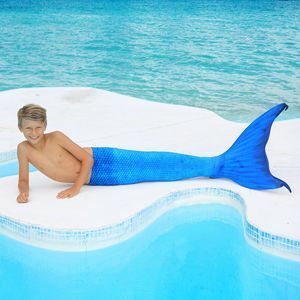 So the design was improved and Magictail mermaid tails were born. 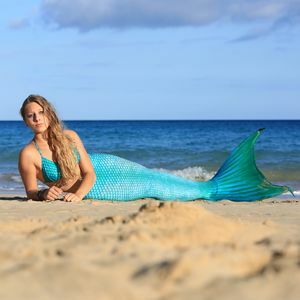 Since may 2018 we make all our mermaid tail costumes from Econyl® Vita. The fabric is made from 78% recycled polyamide(Econyll®) and 22% Lycra. Econyll® is made from used fishing nets - from the oceans for the oceans - and other waste. Surprisingly this fabric is much better than all others we tried before. 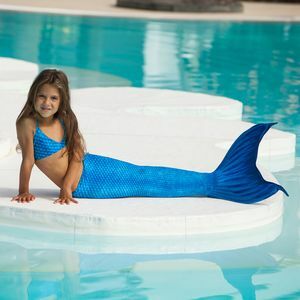 We print our mermaid tail designs digitally in high quality here in Germany. Then we sew here in Waldkirch directly in our own tailoring. Service and shipment is direct from our german factory. Worldwide shipping we do via FedEx in shortest time. 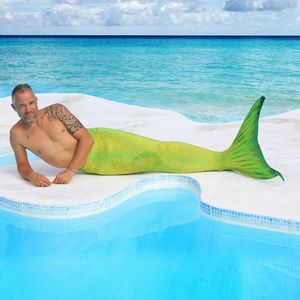 If you are the little mermaid Ariel, Cleo or the merman neptun. 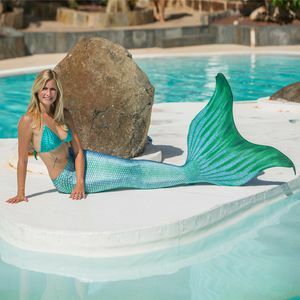 With our mermaid tails we make dreams come true for almost 10 years. 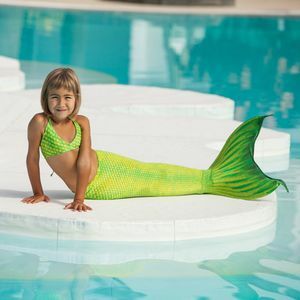 We have Pro and premium mermaid tail costumes with extra large flippers and dorsal fins. You can choose from 4 types of flippers and various sizes. 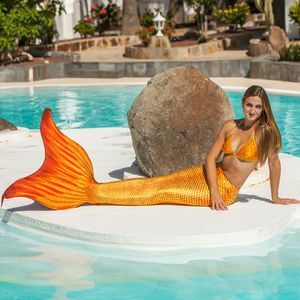 For many mermaid tails we have bikini with amazing fishscales. 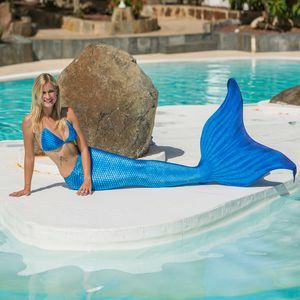 Since 2014 we are official supplier of Miss Mermaid International. 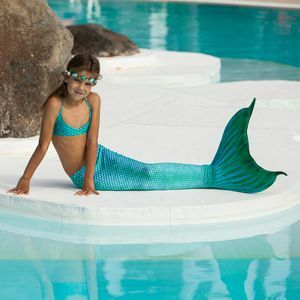 Other professionals like many mermaid swimming shools trust in the Magictail mermaid tail.